Pietro De Matteis, PhD, co-President, European Federalist Party. Apart from the election of the first European Parliament in 1979, European elections have hardly been considered a decisive moment in European politics. But this time it is different. The Eurozone crisis has dramatically shown us how our lives are deeply interconnected, and how policies decided (or not decided) in Brussels may dramatically affect the life of citizens Europe-wide: The endless debate about austerity-led policies or growth-oriented measures is just one example. As argued below, such interconnection between Europeans has increased at every level and could make the 2014 European Elections the first one accompanied by a true European debate. We have all lost the count of the number of meetings and summits that our heads of state and government attended over the past five years in their attempt to tackle the Eurozone crisis. In the same vein, the European media have increasingly highlighted the European relevance of national events, such as the elections in Greece and in Germany or the political uncertainties in Italy, just to name a few. Such awareness of European affairs has also facilitated the development of increasingly heated debates about member states’ domestic policies involving foreign officials: What previously would have been labelled as “unacceptable foreign interference” has become increasingly common. Indeed, those who have always argued that a “European political public sphere” does not exist will have to acknowledge that it does now, thanks to the crisis. The exchanges did not increase only at the heads of state level or through the media. European civil society and trade unions have started to organise Europe-wide protests and to offer their proposals to overcome the crisis. This was further helped by the fact that Europe appeared to be less able as of late to deliver growth, jobs and social stability. Of course, when we say Europe we must consider the European Union as well as the individual nation states. In fact, while the former is limited primarily by the amount of competences (and budget) attributed to it by the member states, the latter are intrinsically constrained by their own size and resources; mostly insufficient to make the difference in the twenty-first century. It could be argued that European nation states are among the most visible victims of the success of process of globalisation of production and consumption. If, on the one hand, they have accompanied the rise of new continental-scale economic powerhouses such as China, India and Brazil to the benefit of some European businesses, on the other hand European countries have seen dramatically reduced their political weight in the international arena, as in a “quasi-zero-sum game”. Furthermore, the new global business paradigms based on “tax optimisation” together with the competition from emerging markets is making the foundations of the European social model increasingly unsustainable. The growing “collective incapacity” of EU countries to keep delivering on their promises of providing a constant improvement of our standards of living and the impossibility for the EU to step in to fill the gap, created a large political vacuum which is now being filled by an increasing number of extremist, separatists and anti-euro political movements in most European countries. This is the case in Greece, in France, in Germany, in Hungary, in Italy, in Romania and of course in Spain, Belgium and in the UK. These movements represent the unease of an increasing number of citizens who are unhappy with the status quo and who feel left behind in a rapidly changing world. For them, the fundamental question is how to change things and to determine whether the benefits of being part of a larger political entity outweigh the costs in terms of bureaucracy and reduced accountability. From such an assessment – not always very accurate – some would argue that the “go it alone” is the best strategy, and would set as their objective the regaining some sort of “independence” from the larger political entity; be it the unitary state in the case of separatists movements, or the European Union as it is the case for nationalists and eurosceptics. Others, instead, would argue that only by working together in a Europe-wide democracy can we actually tackle this century’s challenges, and that if we do so through a well-functioning federation we can significantly improve efficiency and accountability. If we take a step back and look at today’s Europe, we will realise that what we are facing is an expectation-capability gap between what the average citizen’s expectations and the capabilities of the current political structures to tackle them. In addition, citizens’ expectations are either stable or increasing over time while the capabilities of those bodies tasked to fulfil those expectations in Europe (i.e. national and local authorities in primis) are constantly reducing given the changing global context. Through their membership to the European Union and the relative economies of scales so obtained, the capabilities of European countries to manage globalisation have significantly improved. This has de facto allowed these governments to delay and reduce their adjustments costs while enabling them to benefit directly from access to global markets. Today, however, the above mentioned expectation-capability gap is widening and only a more effective readjustment of the competences and policies to be managed at the local, national and European level can provide the necessary efficiency gains that Europe needs to remain competitive at the global level. However, such gains can only be obtained by shifting very sensitive policy areas such as taxation, security or industrial policy (just to name a few) from the national to the European level. Such shifts in competences and powers cannot happen without the necessary political legitimacy and that is why the peoples of the EU need to make their voices heard ahead of the next European elections. Whatever the path that Europeans decide to take, it is increasingly clear that their voice cannot be bypassed anymore. Citizens will have to take ownership of decisions that are taken in Brussels through a strengthened and more participative democratic process. 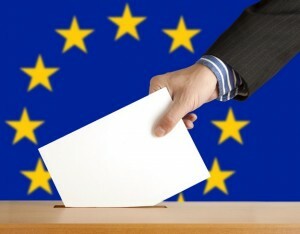 A sort of new “social contract” (or “social pact”) – to use Rousseau’s terminology – should be drafted among the people of Europe and the different levels of government in order to provide certainty about which competences are to be managed at which level and about the nature of the mandate and the key principles that should guide the new European Parliament. This is crucial in order to strengthen the accountability and the transparency of European political processes. The shared awareness of being “all in the same boat” is clearly the starting point of a debate which is yet to happen. The question to be asked now is whether each of the passengers should jump off and try to reach the nearest shore by him/herself (be it the Chinese or the American one) or if the passengers are still willing to sort this situation out by themselves and start rowing all together to reach their own destination. The overall social, political and economic environment is conducive to transform of the upcoming European Parliament elections an important turning point. In addition, the elections provide some new opportunities for people to make their voice heard. One of the key innovations is that the major groups in the European Parliament are expected to present their own candidates for the job of President of the European Commission. This means that European citizens will be able to elect their own European president – even though not directly as in the United States. Also, in addition to the top-down alliances of traditional national parties created for the European elections, this time there will also be truly European parties in the running, such as the European Federalist Party (www.federalistparty.eu). This party was founded as a bottom-up political entity which has progressively opened sections all over Europe and which moreover aims to present candidates in several European countries. This will allow raising the debate about Europe during the electoral campaign and counterbalance the increasingly prominent role played by the nationalist and extremist political movements. Unfortunately the current legislature did not legislate on “transnational lists”, which would have allowed candidates to feature on a Europe-wide electoral list instead of national lists as it is the case now. Nonetheless, all these innovations – together with the changing European and global context outlined above – could make of next year European elections a real “game changer” in European politics. It is now up to us, the European people, to make our voice heard and shape our own future. Pietro De Matteis is the co-President of the European Federalist Party, the only bottom-up and pan-European political party with sections in 18 European countries. An economist by training, he obtained a PhD in international studies from the University of Cambridge and carried out research in China and in the USA. He has lived in several European countries and has worked for various European Institutions. The positions expressed in this article are personal. The European Federalist Party is organising its 3rd European Federalist Convention on November 9th-10th. Registration (free of charge) is available here: http://efpbrussels2013.eventbrite.com/ .